A major hurdle faced by most schizophrenia patients is the poor efficacy of current antipsychotic medications. This stems from a poor understanding of the underlying pathophysiology and the lack of biomarkers for the prediction of a positive medication response. 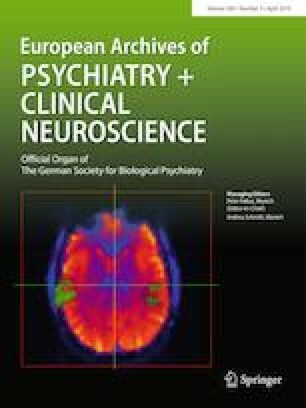 By employing state-of-the-art proteomic analysis of blood plasma from 58 patients who were either drug-naive or drug-free at the time of sample collection, we identified potential biomarkers that were predictive of a positive response after 6 weeks of treatment with antipsychotics. Complement and coagulation cascades were the most over-represented biological pathways among these proteins, consistent with the importance of these processes in schizophrenia. Although preliminary, these findings are novel and may drive future efforts in the development of predictive tests for medication efficacy and thereby have a positive influence on disease outcome. The online version of this article ( https://doi.org/10.1007/s00406-019-01002-3) contains supplementary material, which is available to authorized users. The Authors thank FAPESP (São Paulo Research Foundation—Grants 2013/08711-3 and 2017/25588-1), CNPq (The Brazilian National Council for Scientific and Technological Development, Grant 302453/2017-2), and Serrapilheira Institute (Grant number Serra-1709-16349).